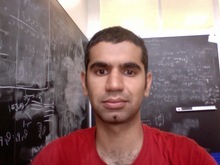 I am interested in theoretical problems at the interface of physics and biology. I want to understand how large-scale, collective behaviors observed in biological systems emerge from the interaction of many individual molecular elements, and how these interactions allow cells to perform complex computations in response to environmental cues. I am also a part of the BU Bioinformatics Program and the BUMC Center for Regenerative Medicine (CReM) , and the BU Biological Design Center. "An exact mapping from the Variational Renormalization Group to Deep Learning" Pankaj Mehta and David Schwab. (arxiv). “Epigenetic landscapes explain partially reprogrammed cells and identify key reprogramming genes.” Alex Lang, Hu Li, J.J. Collins, Pankaj Mehta. PLoS Computational Biology 10(8): e1003734 (2013). “The transition between the niche and neutral regimes in ecology” Charles Fisher and Pankaj Mehta. Proc. Natl. Acad Sci 36 13111–13116 (2014). “The Energetic Cost of Cellular Computation.” Pankaj Mehta and David Schwab. Proc. Natl Acad. Sci 109(44), 17978-17982, (2012).